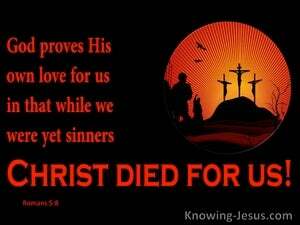 ﻿ Romans 5:8 But God commendeth his love towards us, in that while we were yet sinners, Christ died for us. But God proves His own love for us in that while we were still sinners Christ died for us! But God demonstrates his love for us by the fact that the Messiah died for us while we were still sinners. But God commends his love toward us, that, while we were still sinners, Christ died for us. But God demonstrates His own love for us by sending Christ to die for us while we were still sinners. But God demonstrates his own love for us, in that while we were still sinners Christ died for us. but herein hath God displayed his love towards us, in that Christ died for us, even while we were yet sinners. but God commends his love to us, in that, we being still sinners, Christ has died for us. And God commends his love to us, because, we being yet sinners, Christ died for us. But God proves his love for us by the fact that Christ died for us when we were still sinners. But God recommendeth his love toward us, in that, while we were yet sinners, Christ died for us. But God increased the price of his charity toward us in that while we were yet sinners the Christ died for us. And God recommends his own love to us, that we yet being sinful, Christ died for us. 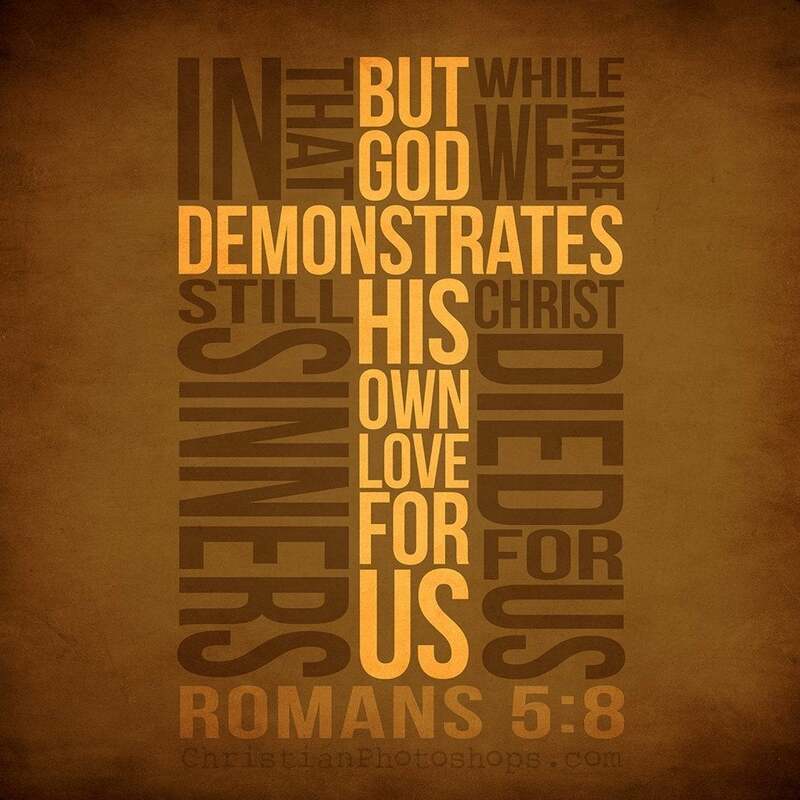 but God demonstrates his own love for us, [in] that [while] we were still sinners, Christ died for us. But God setteth out his love that he hath to us; Seeing that while we were yet sinners; Christ died for us. But God proves his love for us by this, that Christ died for us when we were still sinners. But God gives proof of his love to us by the fact that while we were still sinners, Christ died for us. But God commendeth his own love unto us in that - we as yet being sinners, Christ in our behalf died. But God commendeth his own love towards us, that, though we were yet sinners, Christ died in our stead. But God puts his love for us beyond all doubt by the fact that Christ died on our behalf while we were still sinners. But God proves His love for us by the fact that Christ died for us while we were still sinners. But God recommendeth his love towards us, in that, while we were yet sinners, Christ died for us. 7 For scarcely for a righteous man will one die: yet perhaps for a good man some would even dare to die. 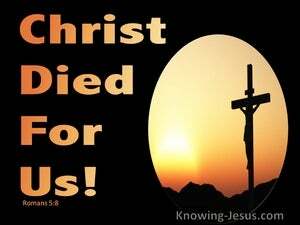 8 But God commendeth his love towards us, in that while we were yet sinners, Christ died for us. 9 Much more then, being now justified by his blood, we shall be saved from wrath through him. That in the ages to come he might show the exceeding riches of his grace in his kindness towards us, through Christ Jesus. Who was delivered for our offenses, and raised again for our justification. However, for this cause I obtained mercy, that in me first Jesus Christ might show forth all long-suffering, for a pattern to them who should hereafter believe on him to life everlasting.